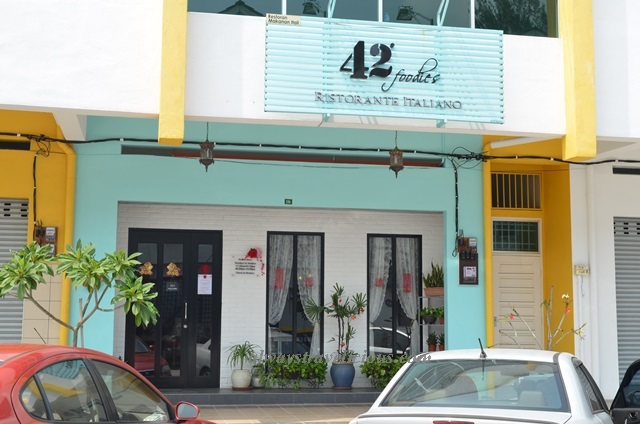 42 Foodies Italian Restaurant @ Ipoh Malaysia - Always Travelicious ! 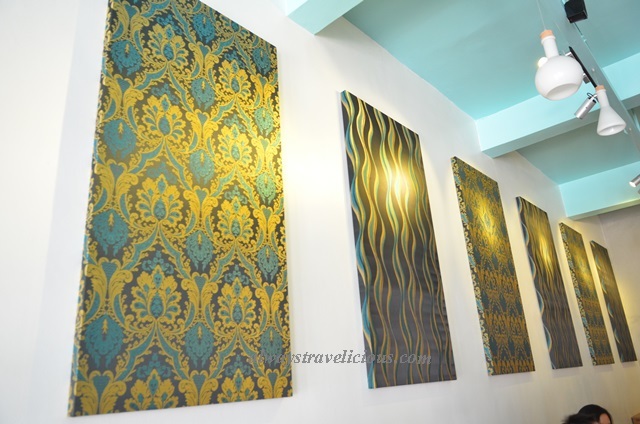 42 Foodies is an Italian Restaurant hidden behind the Petronas gas station in Fair Park. 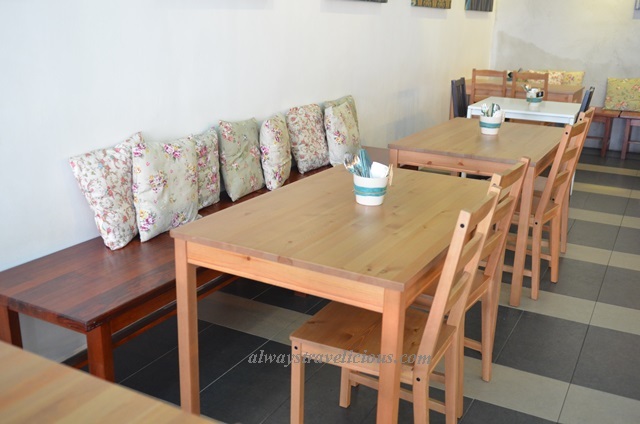 The homey restaurant carries a range of pastas, pizzas, burgers, salads, appetizers and main courses. 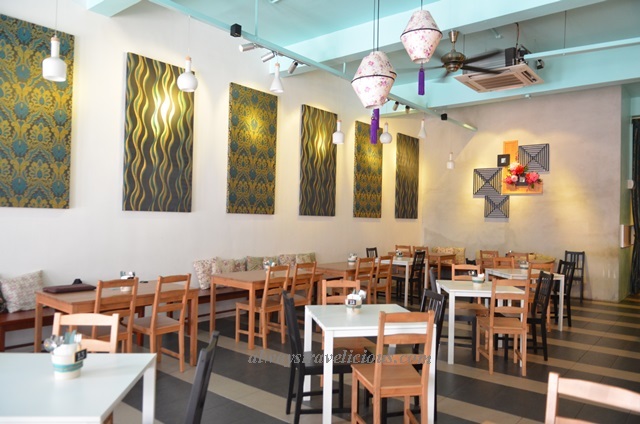 For an Italian restaurant, the interior isn’t exactly Italian, it’s more of a mix of contemporary with abstract arts on the wall and country floral style with flowery cushions and lamp shades. 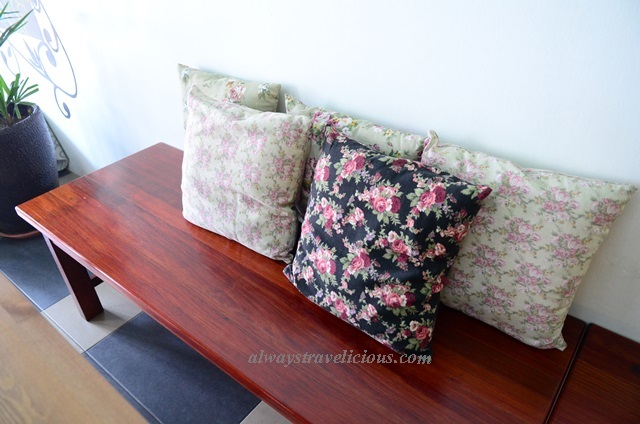 Not full-fledged hipster but almost-there-hipster with the restaurant being more spacious, warm and cozy. Gary and I ordered a few tapas and a main course to share, starting with the deep-fried mushrooms (RM 15)- covered in batter which had an unusual sandy texture that I liked, the mushrooms were scorching hot within, we had to be cautious making sure we were not burnt by the hot splashing juices from the mushrooms as we happily popped them into our mouths. The pot of mussels (RM 17) was immersed in a savory tomato broth; small mussels, but well cooked with plump flesh. The chicken chowder (RM 12) would have passed if it was called “chicken cream soup” because that was what it really was – a light-bodied cream soup with chicken bits. 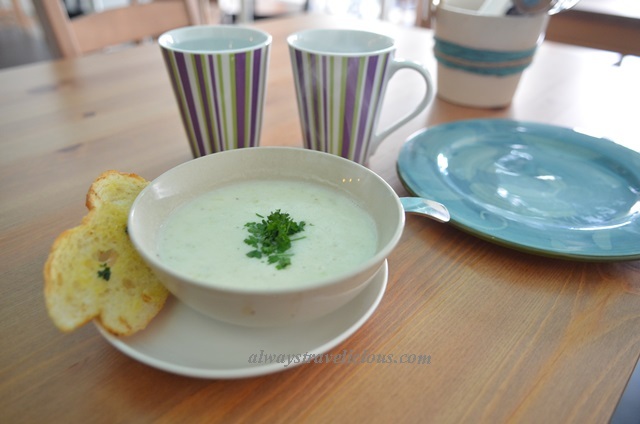 Since it was called “chowder” – it should have been much thicker, richer and heavier in taste with plenty of goodies like seafood. The Boston clam chowder is an exemplary chowder and until today, I am still looking for a place that serves proper chowder. 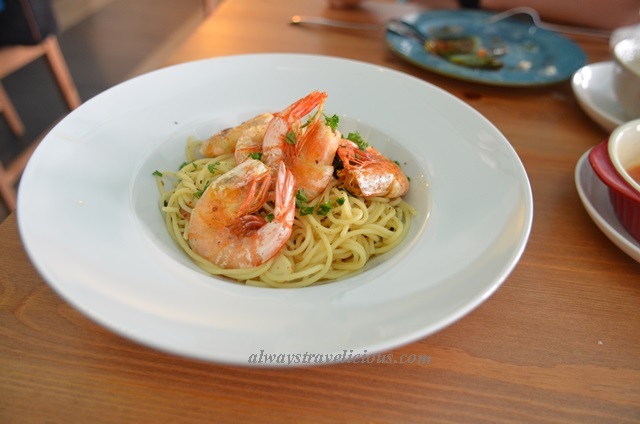 The prawn aglio olio (RM 18) was delightful with ample amount of fresh prawns; it was lightly oiled and extremely fragrant with the use of deep-fried basil leaves. Opening Hours : Tue – Sun: 11:30 am – 3:30 pm, 6:00 pm – 10:00 pm. Closed on Monday. The fried mushroom definitely I would like to order! want to confirm that this restaurant still available? few times went there is closed..
Hi Mango – the restaurant closed for a couple of days recently. It’s back in business on the 4th March.